HBT collects food year-round for Family Table. Sponsored by Jewish Family and Childrens Services, Family Table is the largest kosher food pantry in New England. Please help us keep the collection bin in the lobby full with boxes of raisins and crackers (Kosher certification preferred but not required). We support Mazon (a Jewish Response to Hunger) in many ways and encourage members to contribute as a way of sharing our joy and bounty with others. As part of the bar or bat mitzvah celebration, we ask for a family contribution to MAZON; the customary donation is 3% of the cost of food at the celebration. HBT, as a congregation, and individual members have been actively involved in gun violence prevention initiatives in Boston, the State, and nationally. HBT supports the MA Coalition to Prevent Gun Violence that campaigns to update and strengthen MA state laws to reduce gun violence on the streets, in our homes and in our communities. We also support grassroots community-based efforts in Boston to end violence through education and advocacy through such groups as Citizens for Safety and the Luis D. Brown Peace Institute. Energy Efficient Lighting. Converted to CFLs. Improved Insulation in our newly renovated building wing. Recycling. We approached the City of Boston to pick up our recycling on a regular basis, despite a policy against serving non-profits. The DPW has agreed to help us (though not to change the policy) and supplied us with a city recycling bin. We are working to educate our community and make recycling more visible in the building. Supporters of Hazon, an organization working to create a healthier and more sustainable Jewish community, and a healthier and more sustainable world for all. In December 2013 HBT joined the efforts of the Jobs Not Jails Campaign to demand a halt to more prison construction in the state and to fund job training and job growth programs instead. The campaign also supports abolishing mandatory minimum sentencing for drug offenses, passing a Minimum Wage increase and many other criminal justice reforms. 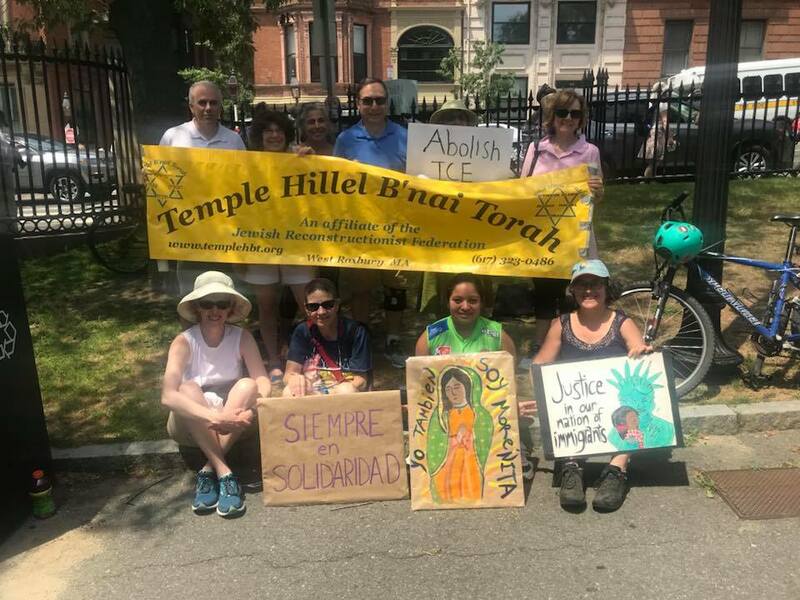 HBT members collected close to 500 signatures on petitions to state legislators and participated in the statewide rally on the Boston Common on April 26th.